T-Mobile looks set to release a home phone based on the Android operating system according to secret documents recently leaked. The NY Times has managed to bag some details on the forthcoming device, which apparently comes from one of the company's confidential partners. The home phone will have a docking station that will presumably allow connection to a greater range of services other than simply phoning people, and given Google's penchant for touchscreen-based swiping fun, we assume it will be a larger touch device. There will apparently be another device that handles data synchronisation whilst simultaneously recharging the battery, so at least it will go further than a simple fixed touchscreen sat on a desk with a speakerphone attached. 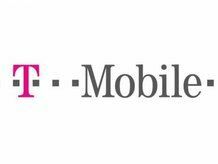 However, T-Mobile is also planning a tablet PC to accompany based on Android as well, according to the leaked documents, although this will probably debut in the middle of 2010. The home phone is set to break cover earlier in the year, so we'll probably start seeing something around Christmas time if it does indeed turn out to be true, and we'll keep harassing T-Mobile until then so you get the inside knowledge as soon as possible.